Resources to help coaches maximize their influence and overall impact on teacher development. The work of a coach isn’t easy. It’s not enough to have the right knowledge and skills—you need to be able to share knowledge and skills with teachers through a continuous, collaborative partnership, built on a foundation of trust and equality. In this video, instructional leaders at University Prep in Denver, Colorado, explain their strategies for coaching teachers and establishing development as a regular and important aspect of the teaching profession. Establishing a true partnership between coach and teacher early on engages teachers in the process of reflection and goal-setting, and encourages them to take personal responsibility for advancing toward those goals. When teachers believe that what they’re learning will improve teaching and learning, they’re more likely to apply what they learn where it matters most—the classroom. 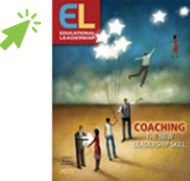 Read this article by Jim Knight to learn how to develop a partnership between coach and teacher in which ideas, actions, and learning are shared, and teachers are more likely to own their development and work hard to improve their practice. Relationships make or break the effect of coaching in schools; spend time in building strong relationships to improve school culture and achieve maximum impact. Another powerful aspect of any learning effort is self-reflection—on the part of teacher and coach. This helps us determine the most effective approach for development and adjust course along the way. When coaches are attuned to their own strengths and weaknesses, they maximize their influence and overall impact on teacher development. Read this post by Elena Aguilar to reflect on your own approach to coaching teachers that may seem to be resistant to change. We can learn a lot by reflecting on our own thoughts and actions, and changing our approach based on our own areas of development. Use this planning guide to deepen your own understanding of how to set instructional coaches and teachers up for success. Collaboration, self-reflection, and strong relationships enables coaching that can have powerful effects on teaching and learning.